I read both of Sally Rooney’s novels in about 5 days, I much preferred Normal People over Conversations with Friends – I felt the protagonist was just far too self absorbed and I utterly detested her by the end of the book – along with most other characters if i’m honest! But that said it’s well written and what 21 year old’s aren’t self obsessed at that age? Bear Town was the favourite book of the six I read this month, I found the way it was written (almost like a screen play in parts) made it easy to churn through, and there is a sequel that I want to read soon too. I wouldn’t recommend The Book Shop – I just found it dire and would have stopped reading it had it been any longer! 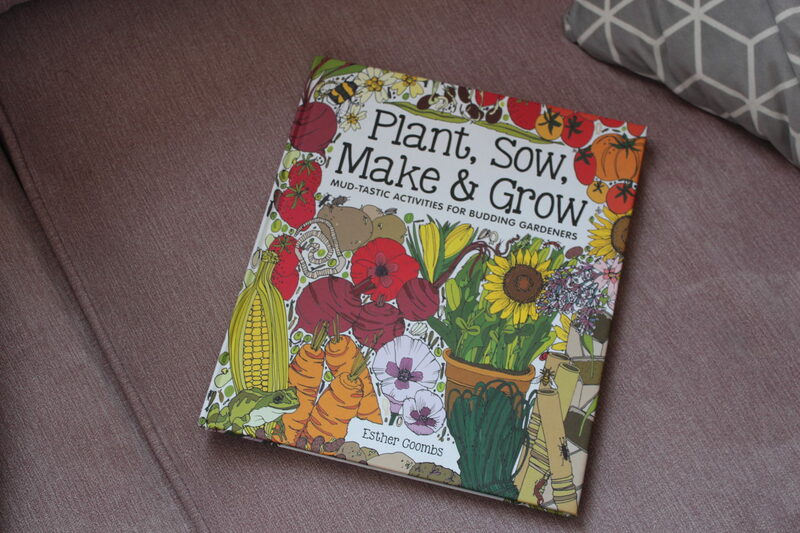 The kids have been looking through Plant, Sow, Make & Grow quite a lot too, because although we don’t have a garden we have recently potted some flowers in indoor planters. 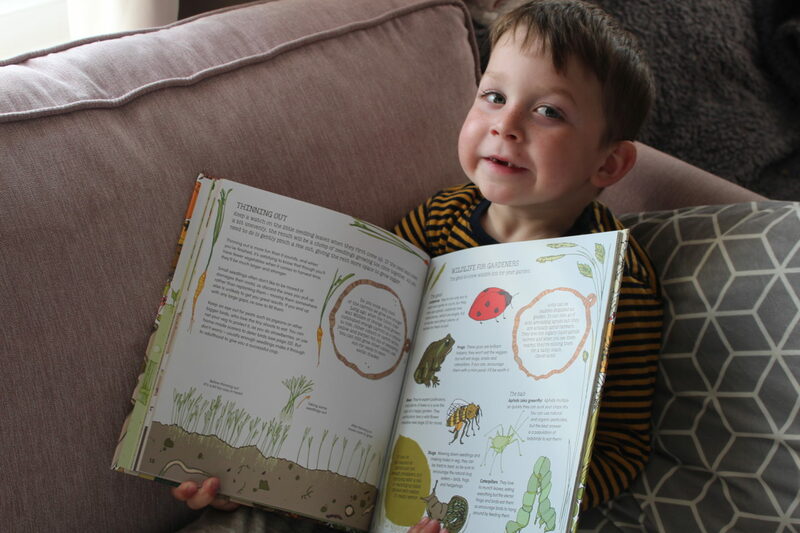 They’re both keen to get up to visit grandma too and have a play in her garden and help with some growing and planting – hopefully in the June half term! The illustrations are super pretty, and I am hoping that in time the kids will start be more adventurous with eating veggies! It’s based around the seasons and also talks about wildlife, and gives hints and tips on things to make for the garden. I’ve actually put our name down on the waiting list for an allotment, but haven’t heard how far down the list we are yet! TV: I’m now up to date with Madam Secretary and This is Us season 3, which just gets better and better and I implore everyone to watch it. I watched season 2 of The Good Fight and am excited for s3 now it’s starting on channel 4! Turn Up Charlie (netflix) – I loved this, a bit unbelievable at times but Idris Elba doing comedy was a nice change! After Life (Netflix) – I wanted to dislike this as I don’t like Ricky Gervais but Sam and I got through it in two nights and it was actually really moving! I also watched all three seasons and then the (clearly straight to tv) film of Dance Academy (netflix) which is a teen soap about a ballet school in Sydney. I watched it whilst I worked and it is definitely aimed at teenagers but easy to watch and I loved the ballet bits! Also I discovered that Australians call snogging ‘pashing’ which made me chuckle! Finding Neverland was another thing I watched this month, and I think he did what he is accused of and I am still gobsmacked that he had the charm to fool the families and so many others around him, though many clearly knew what was happening and turned a blind eye. Awful, I’d rather not think about it to be honest! Films: Leave No Trace (Sky Cinema) which was captivating. It’s about a war veteran that lives in the forest with his teenage daughter, cut off from the real world as much as possible. Sadly for them it can’t last forever and the film follows their story and their struggle for different things. I recommend it! I also watched The Favourite and Mary Queen of Scots – neither of which were 100% historically accurate! Lastly I watched Isn’t It Romantic (Netflix) which was funny and easy to watch! This month I finally got round to mending all the holes and pulls and torn pockets in various items of clothes! One night I stitched up holey knees in the kids trousers and then another night I fixed a pocket on my favourite cardigan and darned up a hole in another one. I also bought a jumpsuit that buttons down the front but has a gapey bit so my mum gave me a few tiny hook and eye fastners to try and make that wearable! This month I bought the aforementioned jumpsuit from everythings5pounds (never shopped on there before, but it arrived a few days later and was originally from New Look and apart from the gapey bit fits well! 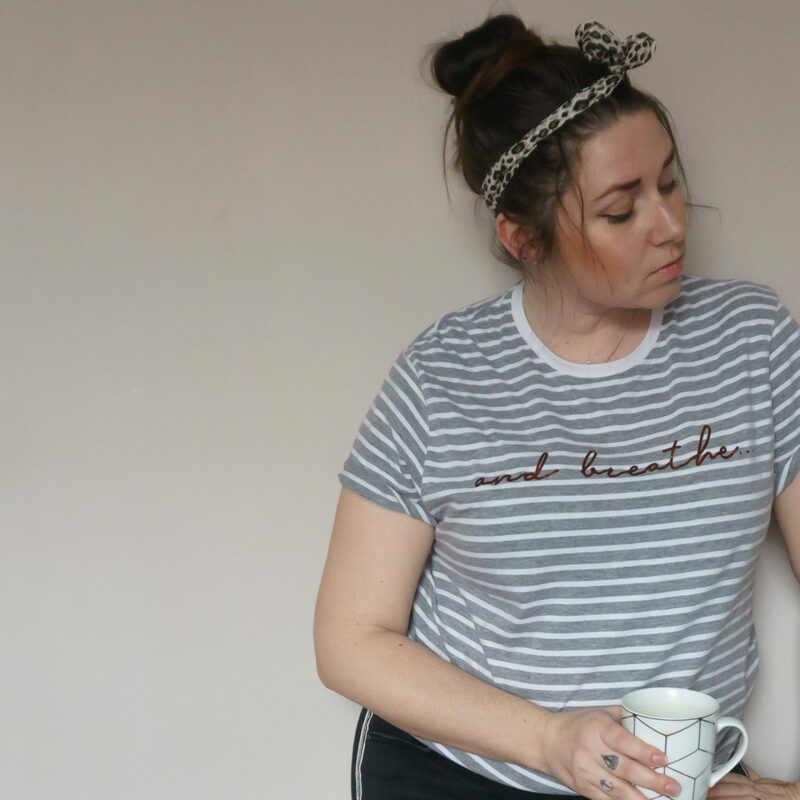 My new favourite T shirt though is this [gifted*] striped number from Ada & Alfred, a mum-run indie clothing brand that designs and makes (in the UK) some really unique slogan Ts and hoodies, and fun, animal inspired patterned clothes for kids too! You can’t quite tell on this photo but ‘and breathe…’ is in a rose gold font. The T is the perfect slouchy fit (I ordered a size L and I’m a 14) and I love the contrasting white collar too. We’re off to London tomorrow for Arlo’s birthday! We have a few activities lined up but I think Arlo is the most excited about going on an underground train as he was too little last time he did to remember this time! I share Mother’s Day with Arlo’s birthday AND the clocks going forwards and losing an hour… how is that fair?! What did you watch/read/wear etc this month? 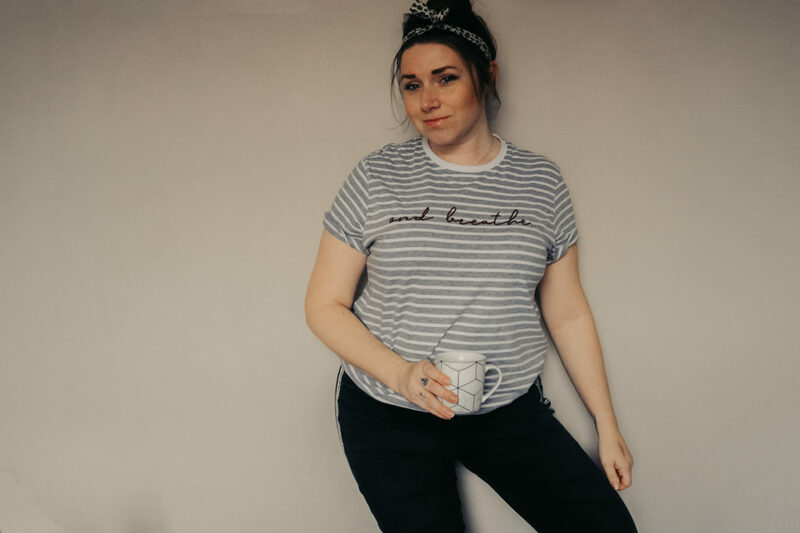 Ada and Alfred let me choose a T shirt to feature in this blog post, All words and opinions are my own. I love that t-shirt, I have to check out the brand now! I didn’t read anything in March and I have a few books on my TBR list, I need to get on that!! Love the format of this, it’s a great way to break down your month. It’s also really given me some suggestions on what to look out for next. I’ve read Russell Brands Freedom from addiction and Adam Kay’s this is going to hurt (would recommend both) and listening to the Uncurated Life Podcast!